When Welsh mountain-botherer Tim Lebbon announced that his novella, Pay the Ghost was to be turned into a movie, naturally those of us that knew him plastered on our false smiles and told him what brilliant news that was. Deep down we hated him of course because, as truly lovely as he is, people weren’t turning our novellas into movies and writers are all horrible. 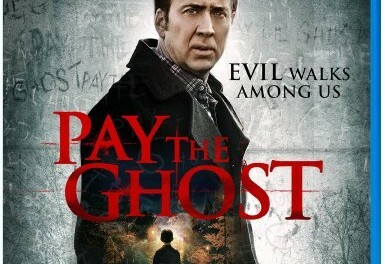 At least we had some small piece of consolation: the movie would star Nicholas Cage. Some people like Nicolas Cage. They seem to think he’s an actor, which, in this age of disinformation and duplicity may not be the greatest lie ever sold to the masses but is still an achievement of note. What an awful thing to say. Reviewers are horrible too. Maybe it’s just me who can never quite get on with all of the emotions he paints on his face, like elephants described by four blind men, resulting in muscular contortions the meaning of which are often beyond me. I’m sure he’s lovely and the problem’s more mine than his. 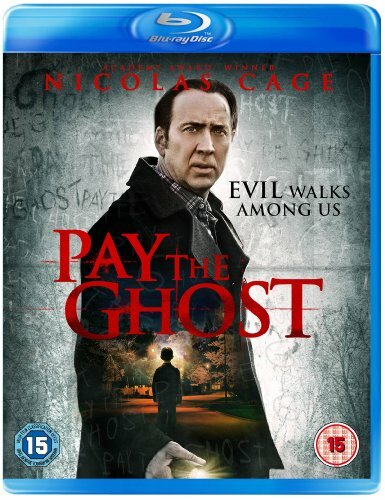 And, in truth, Cage is perfectly fine here as a man who loses his child to arcane forces one Hallowe’en Night. Happy marriage on the rocks, determined to find his son, he exposes an ancient curse and goes on to shout spectacularly at some special effects. Dan Kay’s script takes only the bare bones of Tim’s original story and turns it into a perfectly jolly eighty-five minutes of jumps, running and creepy vultures. it’s an enjoyable ride with no nobler aim than to entertain and scare (which, as most of you know, is actually the noblest aim of all). Yes, there are a few moments of expositional eyebrow raising: a police investigation subplot vanishes entirely and the speed with which the script allows Cage to move from A to B is a breathtaking exercise in scribbling out all that pesky story so we can just get on with “Look! There’s a horrible witch!” I am also in awe of the blind man who makes a habit of carrying torches (flaming and otherwise) and would be tad cross if I were Sarah Wayne Callies (as the mother of the kidnapped boy) who is forced, by movie cliché, to sit on the sidelines for insufficient reasons so that Cage can face the climax alone. But such grotty nitpicking is at odds with the spirit of the movie. It’s fun, it’s pacy, it’s competently shot and by the end of it you will have been thoroughly entertained. What more can any of us ask for?